Manchester United received a potentially damaging blow in their bid to strengthen their midfield, with primary target Nemanja Matic stating that he is very happy in Portugal. In an interview conducted after Benfica’s Champions League win on Wednesday by Portuguese newspaper, Record, the giant Serbian declared that he is not thinking of a move away. Throughout November, we at Soccerlens have strived to keep on top of this ever-expanding story; with a recent report indicating that Napoli were rivalling United for his signature. Indeed, Matic’s former club, Chelsea have been reportedly showing an interest too; but this new development could morph this saga even further. Matic rather deflected the question about his future with a piece of well-worn phraseology. With no personal comment on the rumour, it is perhaps an indication that Benfica will make the decisions concerning his immediate future, with the player apparently happy at the club. It seems at this point that United will have to entice the Portuguese club with an offer they can’t refuse. Matic has a reported €50m release clause in his current contract; but United are believed to be looking to bring that price down, while still coming to an amicable arrangement with Benfica. 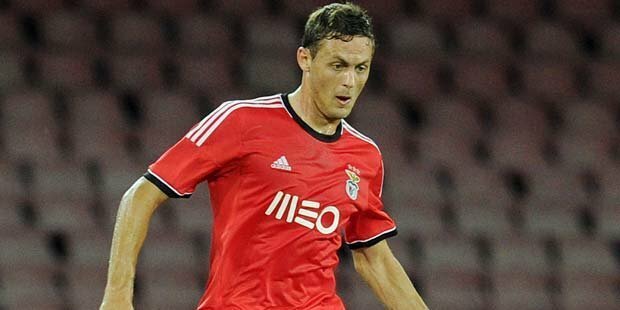 A £20m bid, perhaps with a reserve player added in, could be enough for Benfica to waive Matic’s happiness for the betterment of their finances.